Batting first, RCB could manage only 70 runs, and that's not enough against the defending champions. They face Kolkata Knight Riders in the second match on April 5 at home. It was a start that Royal Challengers Bangalore (RCB) skipper Virat Kohli would like to forget as his team was thrashed by seven wickets by defending champions Chennai Super Kings (CSK) in the season-opening game of the 12th edition of the Indian Premier League (IPL) in Chennai. Trying to remain positive despite the result on Saturday, Kohli said that it was good to get a loss like this out of the way early in the tournament. Having scored just 70 runs after losing the toss and batting first, Kohli's men saw Chennai chase down the target in the 18th over of the innings. But there were moments of incompetence from his teammates, which left the 30-year-old fuming. 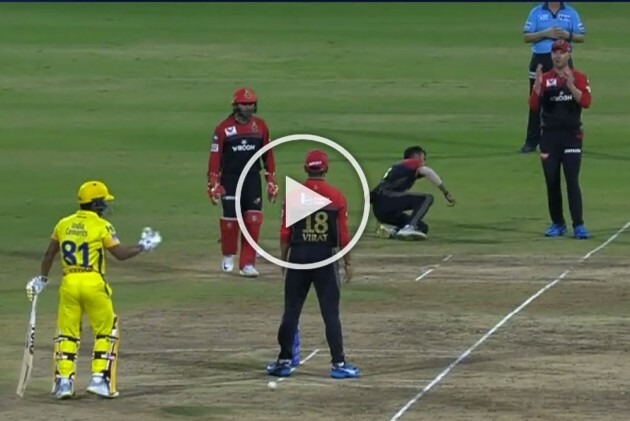 Particularly this moment, when three RCB fielders failed to retrieve the ball in time.